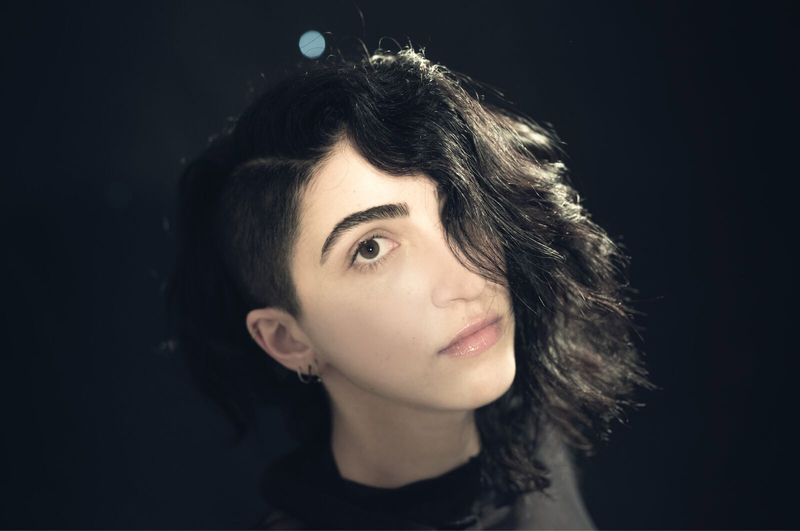 If the name “Emily Estefan” sounds at all familiar, that’s because it is. Not only has she been trail blazin’ a name for herself in the music industry as of late, but she is the daughter of the unmatched talents Emilio Estefan and Gloria Estefan. Her accolades are many, as she didn’t latch on solely to the success of her parents to fuel her career. A graduate of Berklee College of Music – an honor in itself – she is a talented drummer, singer, and songwriter. Not only that, but her public singing debut was in front of 100,000 people at the Miami Beach 100 Centennial Concert in 2015. Have any of you debuted your talents in front of 100,000 people? All of this, and her collaborative efforts with every aspect of her career, make her an up-and-comer of astronomical proportions. Whether she’s singing her soulful little heart out in songs like “F#€K To Be“, or entertaining us with her badassery in videos like “Reigns (Every Night)“, she’s making a lasting mark on music as we know it. And we got the incredible opportunity to ask her some questions. Read on for a little peak inside the mind of a musical masterpiece in the making. If you could introduce yourself to an audience in any way, no limitations, how would you do it? Of course, we know your extensive family background, but how did you, yourself, get your start in music? I can’t remember the first time I knew I was in love with music, because it goes back before my memory does, however, when I was a junior in high school I knew I wouldn’t be happy if I didn’t dedicate my life to music. And since then I’ve been learning and thirsting for more and more! What is the earliest record you can remember listening to? Who introduced it to you? Well, I’ve had the honor of listening to some amazing music growing up being that I come from a family of musicians. I don’t remember exactly what the first record I heard was, but I remember being extremely young at a Prince concert thinking to myself, this is music, this is freedom. Inspiration is an infection, it’s extremely difficult to not create when you have the “bug”, but with time management and lack of sleep it starts to get hairy. For me, it helps to always feed that inspiration when it arrives and not put it off, if it means either practicing for 5 minutes or diving and and working for hours. I always try to at least start the process! Are your friends and family supportive in your pursuit of music? Where do you feel most comfortable as an artist? On stage, in the studio, on the road? Somewhere else? Alone, between the hours of 12am and 6am , in my studio, no distractions, head down, soul up. What has been your greatest challenge or moment in music or life thus far? Singing for my mother and getting over the cowardice hiding in my heart. It was a one on one performance that I will never forget. My feet were shaking like tiny earthquakes. That moment started my true musical journey. aghhhhhhhhhhh Stevie Wonder, and I would LOVE to make an album with my family down the road. What’s in the pipeline for 2017? Having fun and putting some music in the world that’s been very close to my heart for long time! Feb 3rd my album Take Whatever You Want comes out and then my band and I are going to be playing around and having a BLAST playing our instruments, telling my stories, and enjoying every moment of it! I want to pick up my instrument and tell my stories not because I want recognition and fame, but because it’s what makes me happy and what makes me feel a moving gear of this planet. I can’t wait to enjoy every moment and spread love and peace! Hope to see you guys on the road soon!!!! Peace and love. Take Whatever You Want is out February 3rd. Keep up with Estefan here.